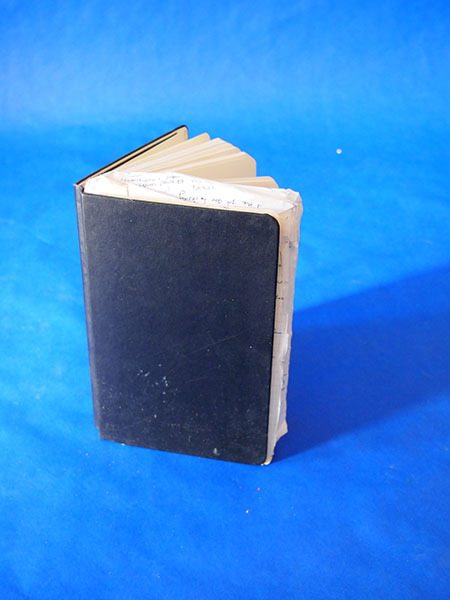 JIN CHI LIMITED specializes in manufacturing all kinds of paper products, including Moleskine notebooks. The factory is located in Zhejiang Province, China. Sourcemap: White paper sourced from Georgia and notebook assemblage in France. I obtained this book from Barnes and Noble in 2005, and used it to record notes and ideas. I've carried it with me from place to place. It iscurrently in Brooklyn, NY in a wrapped sculpture, the contents scanned.